I just ordered a personalized shirt from AlliedShirts.com and I’m loving it! I’ve ordered make your own shirts before in the past, but was always disappointed in the quality. I love the lettering on this shirt, and the material is very soft. It definitely feels high quality, and more like a shirt you would buy in a store. If you don’t know what Zitchdog is, I suggest you watch How I Met Your Mother. Go. Go now and don’t come back til you get the reference. Then thank me for a highly entertaining road trip game. I beat Match on our last road trip! I’m hoping to order a few more shirts as stocking stuffers for Christmas. I think I’ll make one for Geeky from Hunger Games. Maybe a shirt that says Team Peeta. We can wear them to the next Hunger Games movie! * I was contacted to review an Allied Shirt, and was given a free shirt for doing the review. The opinions are 100% my own. I love my shirt and I will happily order from them in the future! Goodbye 2012, and hello 2013! It has been an honor to be a part of the Review Extravaganza, and I appreciate how many people linked up and played along. 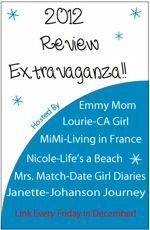 It has been a blast reviewing with you, catching up on events I’ve missed, and getting to know new readers. A big thank you to Emmy Mom, as this is her brain child. I’m so lucky to be included with this great group of ladies. One more time, here are all of my fabulous co-hosts. If you haven’t started following them, you should! I promise you will not be disappointed. Sur Le Feu offers simple, stylish, and functional clutch purses, shoulder bags, handbags, and more for the vintage-loving girl. Each item is unique and never duplicated – perfect for anyone looking to stand out! 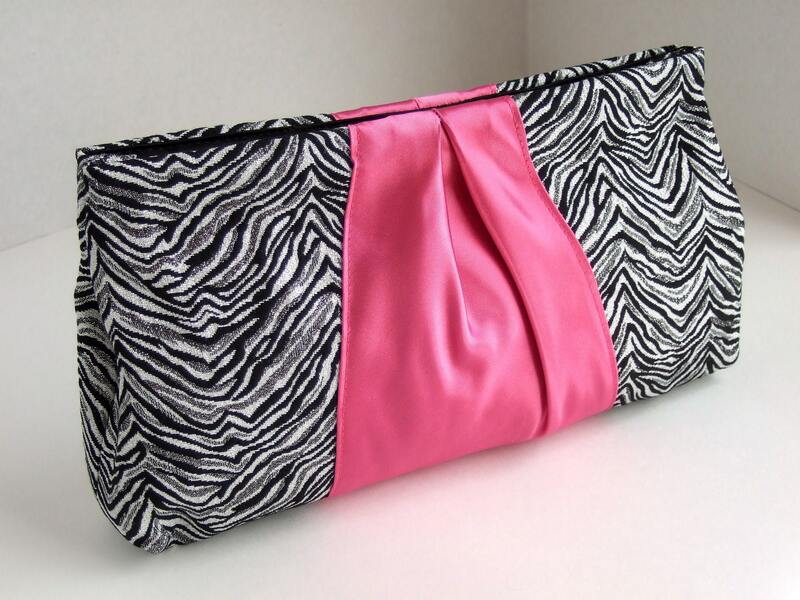 Winner will receive a clutch or purse of their choice placed $35 or less. Emmy mom have one of these and says they’re awesome! This new up and coming Etsy shopped features beautiful handmade jewelry. The winner will receive this beautiful bracelet a $30 value. This bracelet is made of stainless steel wire, using 20 gage wire at a 4mm ring size. The bracelet is 7 1/2 inches long but she can make it longer or shorter, depending on the winner’s wrist size. From totes or purses you can wear while you’re out and about, thermals to help you transport food and drinks to a party, organizational items to help keep your house neat and tidy, Thirty-One has a solution! 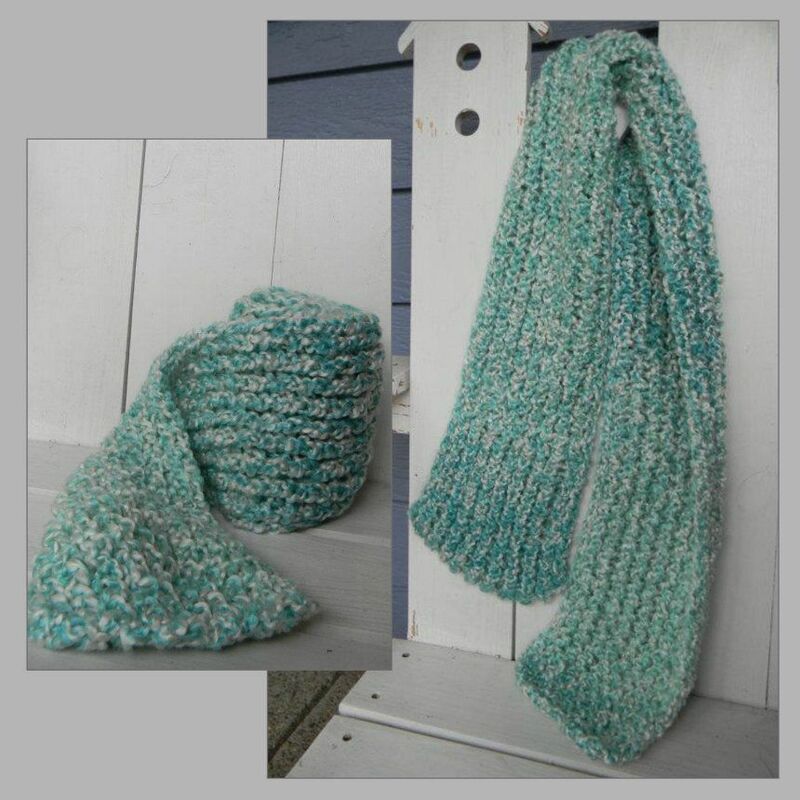 Our very own Nicole’s mother, who may soon be opening her own etsy shop, has generously offered this beautiful handmade scarf for the lucky winner. A $25 value. PYP offers new daily discounts on amazing crafts and accessories. PYP is not sponsoring this prize. Charlene is new to Etsy and sells beautiful handmade aprons and draw-string bags. She makes adult and kid size aprons and is willing to make custom orders. 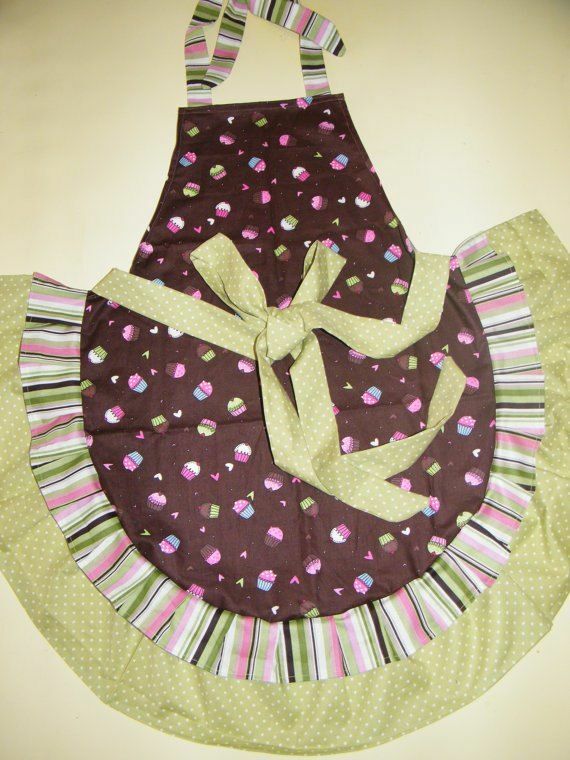 The winner will receive this adorable chocolate cupcake apron. My (Emmymom’s) daughter has one of her aprons and she insists on wearing it every time she helps me cook. 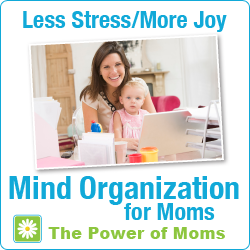 Mind Organization for Moms (M.O.M.) is a mom-specific online program, we’ll show you how to clear your counter of “the pile,” organize projects without the stress, set up an effective Weekly Review system, and keep up with the never-ending stream of emails, phone calls, and papers (yes, it’s possible!). And now the moment you have all been waiting for. 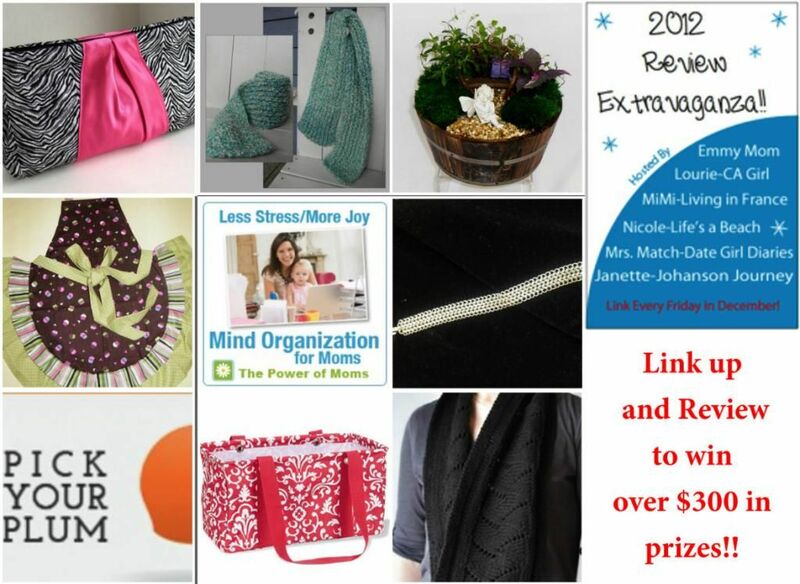 Who is the lucky winner of all of these wonderful prizes?? Sandy of Twelve Makes a Dozen-– it was her bonus point entry for linking up all four weeks that was chosen. So thank you, thank you to all who linked and we will definitely be reviewing again next year. I’m going to work hard on getting great sponsors like we had this year. I am so excited for this year’s Review Extravaganza! Last year I was a participant, and this year I have the honor of being one of the hosts! December 29th: Recap October, November and December and 5 goals for upcoming year** Posts do not have to be posted on Friday but MUST be posted by the following Wednesday to count. So, the first week you can post Dec 7th through Dec 12th, etc. This new up and coming Etsy shopped features beautiful handmade jewelry.The winner will receive this beautiful bracelet a $30 value. This bracelet is made of stainless steel wire, using 20 gage wire at a 4mm ring size. 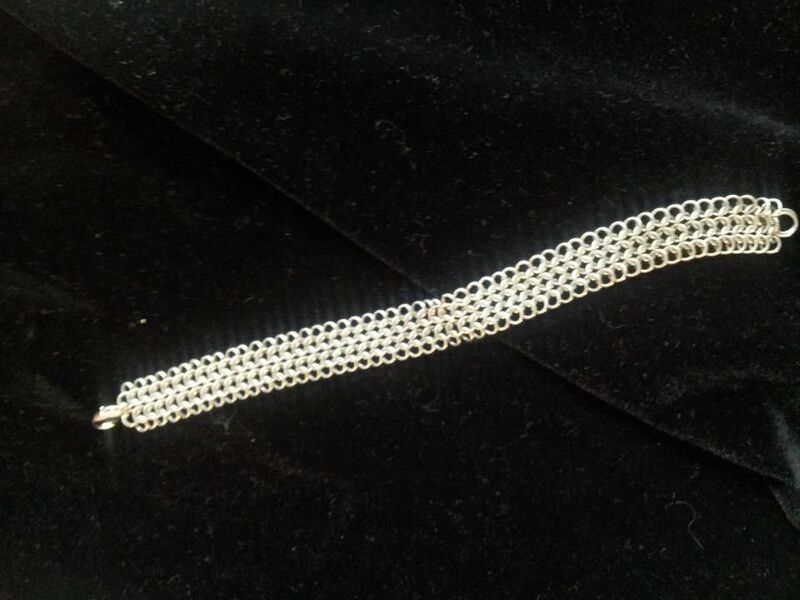 The bracelet is 7 1/2 inches long but I can make it longer or shorter, depending on the winner’s wrist size. 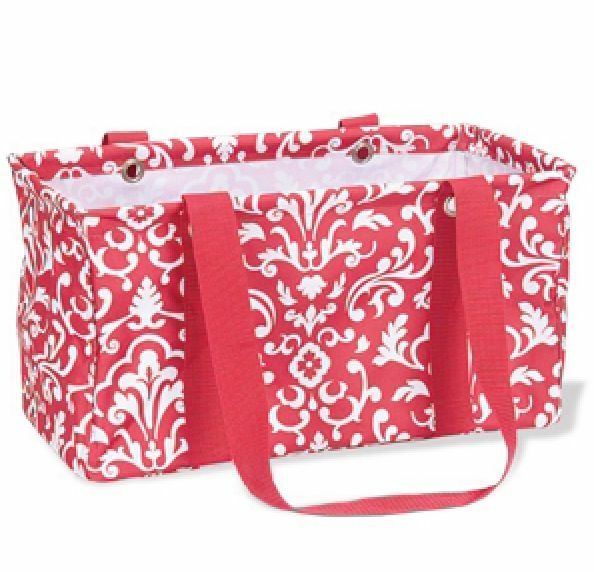 From totes or purses you can wear while you’re out and about, thermals to help you transport food and drinks to a party, organizational items to help keep your house neat and tidy, Thirty-One has a solution!Jessica McCoy a Thirty-One Consultant has generously offered a beautiful Medium Red Damask Tote. That is over $304 in prizes!! I am actually quite disappointed that I am ineligible to win being one of the hosts and all. Please feel free to visit all of our great sponsors by clicking the name above the pictures. So one lucky participant will be the winner of all of these amazing prizes. The more you participate (hint recap all four weeks) the more chances you will receive to be the lucky winner. But even if you don’t win it is so much fun looking back and remembering the year, meeting new bloggers and reading other bloggers recaps. I can’t wait to read them all! If you have any questions please feel free to leave a comment and ask. Fall is my favorite time of year. So what better way to celebrate the season than with a giveaway? 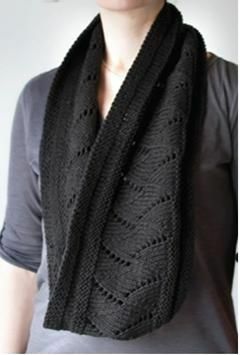 I’m excited to announce our Fab Fall Giveaway, with the lovely Janette from The Johanson Journey! One lucky reader will win a $100 gift card to Dermagist, a pair of Spirit Fingerz, a zipper pouch from Jonah Bonah , and one free Maybooks. Engvall is in the park flying a kite with his son. Passerby: Y’all flyin’ a kite? It’s mid August and I’m starting to think forward to October. I want to have a big costume party, and I’m hoping to completely deck out our house for Halloween. I’ve been looking online for all kinds of decorating ideas. I stumbled across Signs on the Cheap, who have all kinds of cheap signs for anything you can dream up. 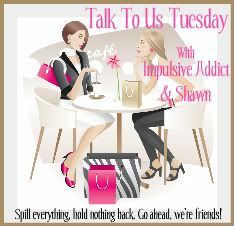 I got this adorable sign that I reviewed a few months ago over on the Red Carpet Ladies. I can think of all sorts of reasons I’d like a cute yard sign. Can you?